Pneumatic conveying is ideal for in-plant transfer due to flexibility in routing – we can convey material to places others can’t. It is also ideally suited for dust control because it’s a closed system with few ventilation points. Routing is very flexible and less moving parts means less breakdowns. A wide variety of dry bulk materials can be conveyed this way with lower maintenance, power, and labor costs. For compliance purposes, we can attenuate noise created by indoor blower packages by design or by including a sound enclosure. 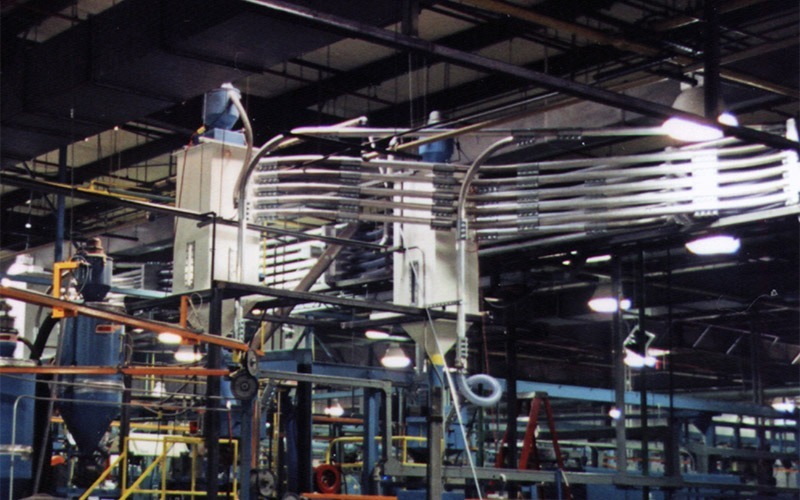 We have designed systems for thousands of materials. Call an experienced engineer at US Systems, we’ll answer your questions and solve your problems. It’s what we do! These photos illustrate the fact that these are closed systems that reduce cross-contamination, allow for easy dust control, and easily have several pick-up points and routes controlled with valves. In-Plant Transfer Plastic Pellet Convey Lines with an In-line Diverter Valve. These high-rate systems employ either diesel or electric driven portable units that can range from 10 to 200 horsepower and can move material at a rate of one to one-hundred ton per hour. To match the environment of our customers operations, US Systems Pot, boosters, and supporting systems are designed to be especially rugged. 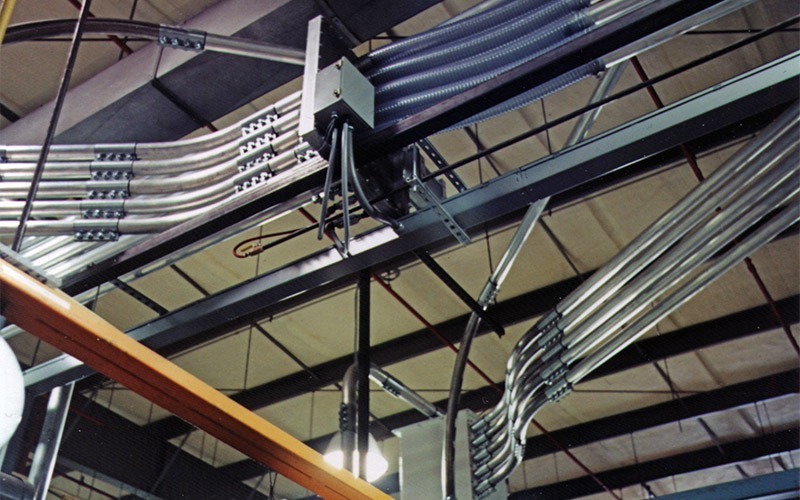 Unlike our competitors, we custom-design our systems to fit your existing systems, not the other way around. 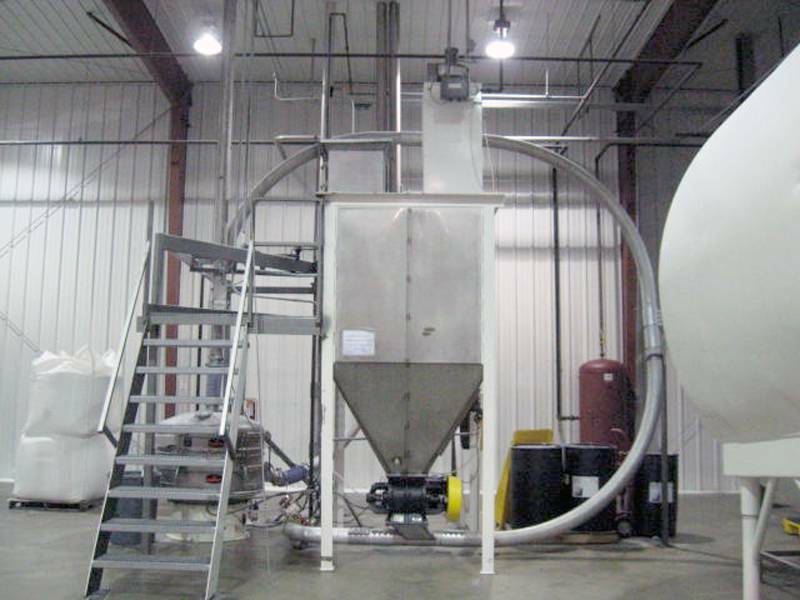 United States Systems, Inc. engineers and manufactures pneumatic conveying equipment, dust collection systems, and bulk bag filling stations for the plastics, chemical, mineral, and food industries since 1969. All Rights Reserved © 1969-2018 | United States Systems, Inc.